Housing prices have been going up in LA . . . a lot. You may have equity in your home again. Interest rates are crazy low. This is creating a unique situation that allows many homeowners to make improvements to their homes and actually lower the monthly mortgage. You really want a new kitchen! And sure, the master bath, too. Let's estimate $40,000 for the kitchen and $20,000 for the bath. Your current mortgage is based on a $500,000 principle at 4.5%. You should be paying $2533 per month on a 30 year fixed. So, you could up the mortgage to $560,000, and with interest rates currently at 3.75 or less, you should end up with a monthly payment of $2515 or less. Give me a call and let's talk about the details. 310-295-2613. Ask for Bill. If you want to consider a larger project, see our recent post on construction loans. 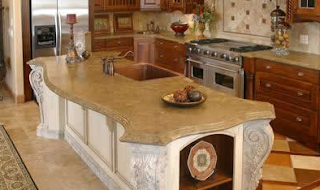 While Remodeling a Home owners will more eager about the kitchen remodeling work only.They have to be satisfied from top to bottom of the Remodeling work.Professional Remodeler can have the whole knowledge about the remodeling works.They also can understand what Home Owners wish.And also you have estimate the cost for doing remodeling works for kitchen this will be useful for all who are seeking for remodeling work and also they will suggest to their neighbors. Hi,great blog post. Information is very useful and saves me huge amount of time which I spend on something else instead of searching posts like this Thank you! i think you provide me good idea remodeling my kitchen. Thanks. Most homes built in the area are "stick" construction, meaning wood framing. Using brick facing is common too, however that is for decoration and ease of maintenance primarily.